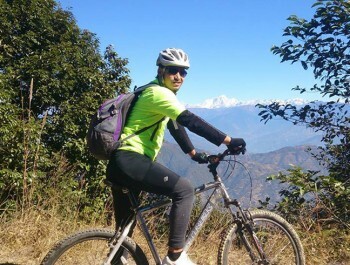 Dhulikhel Namo Buddha Panauti Biking give yourself a break and get relaxed in your busy personal life. Come join our exciting short and adventurous mountain Biking tour to Newari town of Panauti and beautiful Balthali village via Dhulikhel-Namobuddha. 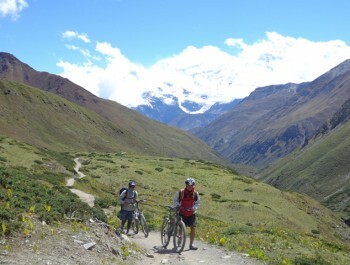 Kathmandu to Panauti/Balthali village biking tour is a very excitable ride that takes you to the Beautiful Village of Balthali situated at the junction of Roshi and Ladku Khola. Kathmandu Dhulikhel Namo Buddha Panauti Biking is a small sleepy settlement surrounded by colorful thick forests of magnolia, sal and Rhododendron with open terraced fields. Kathmandu Dhulikhel Namo Buddha Panauti Biking tour offers you splendid vistas of peaks like Dorje Lakpa, Langtang and whole range of mountain which glows bright on the north horizon of Nepal with Small forested areas, local villages, farm fields, valley views, temples and Namo Buddha Gompa. This ride is the best ways to explore beautiful country side and hilly area. Your journey start from the Thamel of Kathmandu and you will be riding your bike through the Shivapuri National Park, Chisopani, Nagarkot, and Dhulikhel to Panauti via Namo Buddha. The major attraction of this ride is beautiful hilly villages at Dhulikhel, vistas of several Mountains, Historic Namo Buddha Gompa and stunningly beautiful Balthali village. 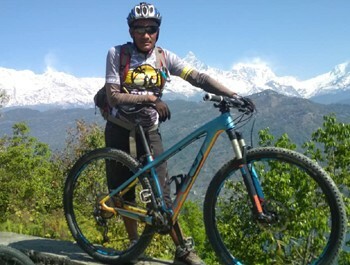 Kathmandu Dhulikhel Namo Buddha Panauti Biking Tour ride is easy and anyone who can ride bicycle well can entertain this travel sport which takes you away from the city life. Today is your first day of biking. After breakfast you will ride to Shivapuri National Park and along the way you will visit famous Budhanilkantha Temple of Lord Vishnu. Then the trail goes uphill to Shivapuri and a bit further steep of 3 Km with the great vistas of Valley. You will be visiting Gompas on the way and follow the jeep track down at the center of National park we arrive at Chisopani. Enjoying surroundings and mountains we leave Chisopani and track uphill to Nagarkot Village. Stay overnight at Nagarkot. Today you will wake up early and gather at vantage point and view stunning sunrise over the mountains and hills. The feelings are beyond this world and you will also see mountains like Manaslu, Langtang and Mt. Everest. Then we hike to Dhulikhel, its mostly steady uphill climb and visit its area. You will visit small rhododendron forest, local village’s inhabitant by Newar, Magars and Rais, and then you will observe their lifestyle. Dhulikhel offers you stunning view of Karyolung and Himchuli also farming sites. Stay overnight at Namo Buddha. Today you will visit Namo Buddha Gompa and get info about its history. After about three hours of ride we arrive at historic Newari town of Panauti. It reflects ancient arts, cultures typical Newari way of life. Our ride trails on the flat mostly-paved route to Balthali which is a traditional village with ancient architecture of the houses and innumerable temples. Today’s ride gives great spot for sightseeing like greenery and the farms make our ride very pleasant and welcoming. The village of Balthali is tucked away behind the forest of Panauti and is considered as a naturally and culturally rich destination. Stay overnight at Namo Buddha. Today you ride to Bhaktapur Durbar Square area via Namo Buddha and Dhulikhel. Along the way great valley vistas, farm fields, domestic animals, mountains views of Annapurna, Ganesh Himal and Langtang region and small villages and temples will take your heart away. After Bhaktapur area observation i.e. the arts and crafts and several temples, we head back to our hotel at Kathmandu You will have great Nepali Farewell dinner with your team crew and enjoy hotel service tonight. Today your Dhulikhel Namo Buddha Panauti Biking comes to an end so collects the photographs and gadget. Then our representative will help you to drop to the airport or if you have plenty of time to spend in Nepal, then feel free us to join another trip or adventurous activities like hiking, river rafting, bunjy jumping, paragliding etc.so that you can make your travel to Nepal memorable. Accommodation in Kathmandu & Dhulikhel at standard hotels with breakfast. 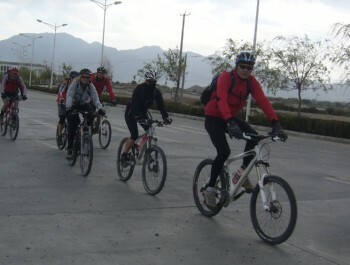 Meal on full board (breakfast, lunch and dinner) during Mountain Bike Tours including Tea/coffee.